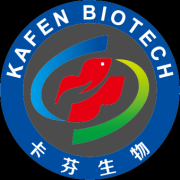 You are at: Home » Company » Guangzhou Kafen Biotech Co.,Ltd. steroid hormone and pharmaceutical raw materials. Chromatography/Gas Chromatography/UV Spectrophotometer to conduct effective product analysis and monitoring. Company factory has passed ISO9001 quality system certification and international KOSHER certification. Now,we continues its high speed development and contributes a lot to its new products' R&D and quality improvement. Under the credibility and win-win principle,kafen biotech will devote to culture innovation to provide excellent products and best service to our customers.